Apple has just announced the iPad Pro, and it's definitely the biggest iPad yet. It has everything the iPad Air 2 offers, and a little extra on top. The giant 12.9-inch display with 2,732 x 2,048 pixels bring us a great high-def movie experience. Although it looks like a laptop, it's actually a tablet which cannot play DVD movies directly because of DVD drive absent. If you want to get some movies off of DVD discs and onto the new iPad Pro, you'll need to rip DVDs to iPad Pro compatible video formats in advance. The task of converting DVD to iPad Pro would be easy as blowing off dust if you get a practical and professional DVD to iPad ripper software. 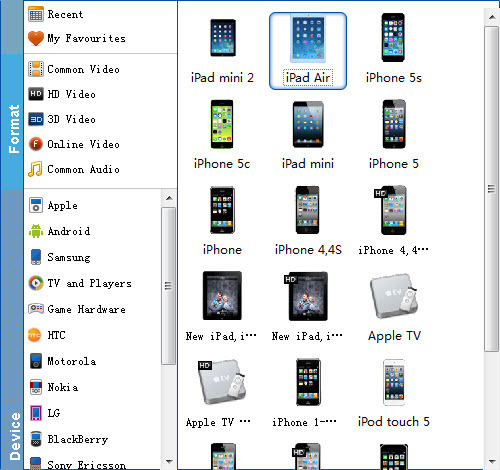 Here EaseFab DVD to iPad Converter for Mac is highly recommended to you without preamble. With intuitive and easy-to-navigate interface, this program can easily rip DVD to iPad Pro friendly format with fast speed and high output video quality. The shining point of this DVD to iPad ripper lies in its unique ability to decode any copy-protected DVDs, no matter the new Disney DVD Copy Protection or the general CSS encrypted DVDs, Sony ARccOS protected DVDs and all region 1-6 commercial DVDs. Therefore, you can import any DVD to iPad Pro for watching at will. Besides ripping DVD to iPad Pro on Mac, this program also provides optimized presets for iPhone 6s, iPhone 6s Plus, iPhone 6/6 Plus, Samsung Galaxy series, Microsoft Surface, and many more. You can also convert DVD to MOV, AVI, MP4, WMV, FLV, MKV, 3GP, MPEG, TP, TRP, HD AVI, HD WMV, HD MOV, etc. If you're using a Windows, you can turn to the Windows version. Now just download the right program and follow the easy guide below to convert and transfer DVD to iPad Pro for entertainment. The guide below uses the DVD converter Mac version's screenshots. The way to rip videos from DVD for iPad Pro on Windows (Windows 10)is the same. You just need to make sure you get the right version according to your needs. If you have some Blu-ray movies and wanna watch Blu-ray on iPad Pro, please turn to EaseFab Blu-ray Ripper. Tips: If you want to watch DVD on iPad Pro with subtitles, go to click Subtitles and select the one you prefer. You can also choose preferred audio track from the Audio drop-down lists. When you have finished all the above settings, you can simply click the Convert button on the main interface and let the software do the DVD to iPad Pro conversion on Mac for you. All the conversion tasks will be done at fast speed and you will get a high output quality. When you complete the process and rip DVD to iPad Pro, you can connect the device to your computer to sync the converted DVD movies to iTunes library. From here, you are ready to enjoy your high quality videos on iPad Pro on a plane or in the car. Additional Tips: iPad Pro only come with some much space, which easily gets filled up when you download apps and take a lot of photos or videos. In this case, you can go to get the Seagate Wireless Plus, which can help you take more than 300 HD movies with you and watch them wherever you go. 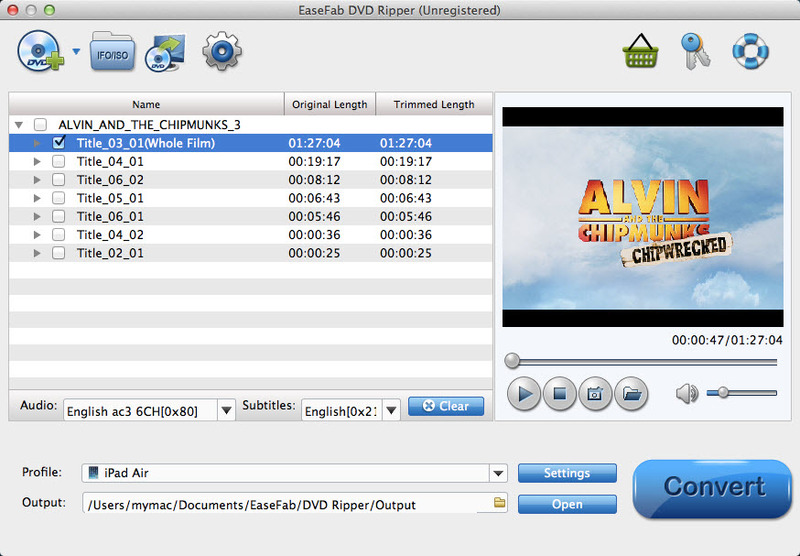 With EaseFab DVD Ripper, you can get all your movies on DVD ready for Seagate Wireless Plus.